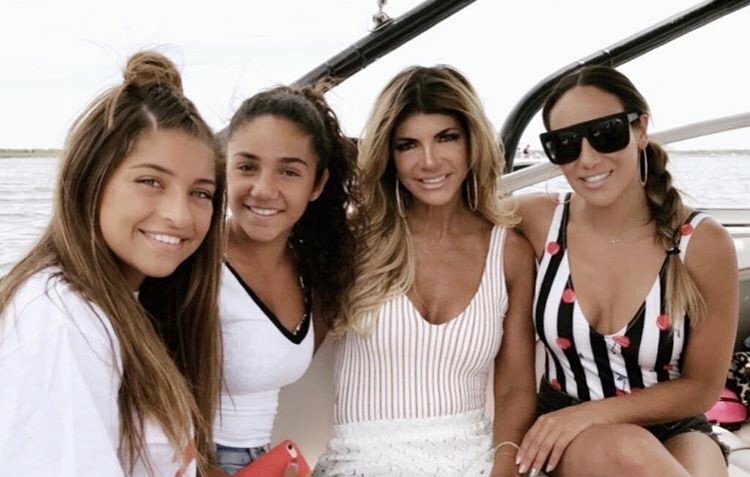 Now that Season 9 of Real Housewives of New Jersey has wrapped, Teresa Giudice and Melissa Gorga can use some rest and relaxation with their families at the beach. Teresa, Melissa, Joe Gorga, and all of their kids have been living it up at the beach this summer. They’ve been working on their tans, going out with friends, spending days on the boat, relaxing by the pool. playing in the sand, and so much more. 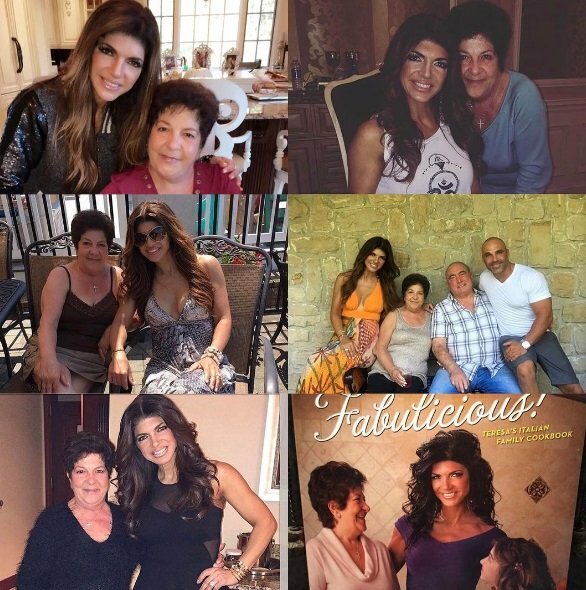 It is with a heavy heart that I write that Teresa Giudice’s mother has passed away. Y’all know I love this job, as it’s fun to snark on the world of reality television stars, but, as with this post, we are often reminded that they aren’t just present for our entertainment and amusement. Regardless of their attitudes, their flaws, their ridiculous quirks, or their over-the-top personalities, reality stars are actually real people who experience highs, lows, loves, and losses just like the rest of us. The Real Housewives of New Jersey star encapsulates so much of what we love to hate, hate to watch, and are mesmerized by thanks to her opulent lifestyle, unabashed and unapologetic relationships with family and friends, countless legal woes, and prison terms. However, at her core, Teresa is just a woman who lost someone so incredibly near and dear to her, and I feel horribly that she has to go through it. Coming on the heels of so much other drama in her life, it must be shattering to her. The reality star kids brought the cute to New York Fashion Week last night! Melissa Gorga and Teresa Giudice attended the Rookie USA Fashion Show and their kids even walked the runway. Other reality stars (past and present) attended the event with their kids: JWoww and Snooki, Coco Austin, Kevin Jonas and more. Also spotted at the show: Real Housewives of New York‘s Carole Radziwill as well as Towanda and Evelyn Braxton. Check out the photos below and a video of Audriana Giudice walking the runway. A few months ago, I would have never imagined that Teresa Giudice and Melissa Gorga would peacefully come together for a family gathering. Times have really changed though! Both the Gorgas and the Giudices celebrated the birthday of Teresa and Joe Gorga’s father, Giacinto Gorga, and Gino Gorga in one big happy family celebration. All of the adorable Giudice girls – Gia, Gabriella, Milania, and Audriana – were present, hamming it up for the cameras, and the Gorga kids – Antonia, Gino, and Joey – were as cute and demure and darling as always. Joe and Melissa Gorga‘s daughter Antonia celebrated her 11th birthday this weekend with an emoji-themed pool party for family and friends – including her aunt Teresa Giudice. Melissa shared the pic above on Instagram, adding, “My baby girl is growing up! Such a fun party for her yesterday! Making memories! How amazing is this flower wall from @oncewedwalls.” More pictures of adorable Antonia and her birthday party are below!